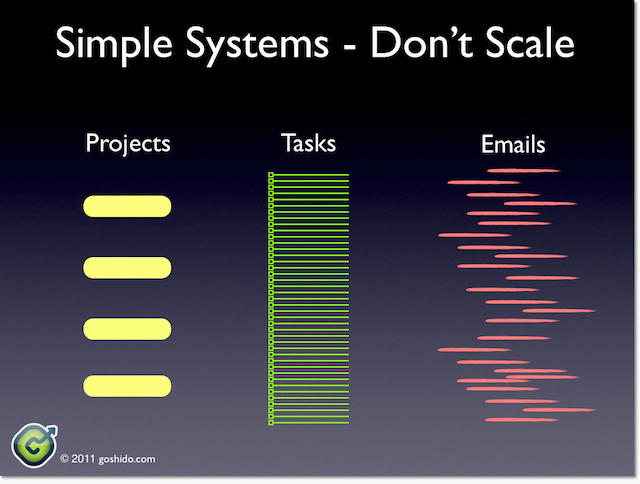 Simple online task lists and project management systems hit limitations even for small teams. Goshido scales to handle massive projects and many small informal projects. A team of five working on a month long project can easily generate a list of 250 tasks. No-one can see who’s doing what next. They can’t sub-divide the tasks so communication starts to happen by email – and now you have black market collaboration. 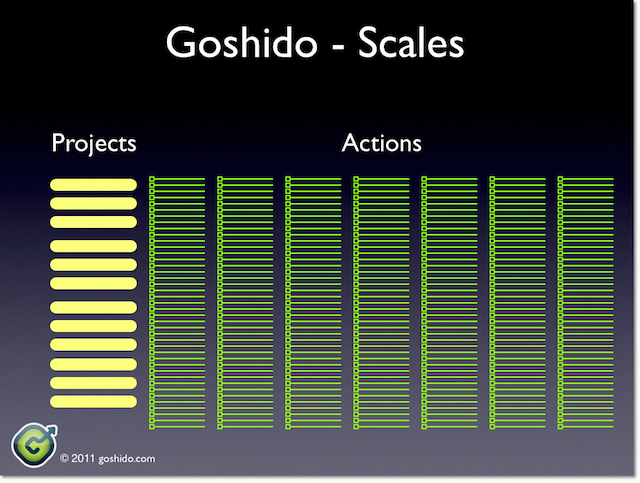 In Goshido, projects can contain actions to any number of levels. A question from the CEO can turn into a project for a team of 10 people for a year.